Mr. Pancily Varkey , General Manager – BFC (fourth from right) handing over the keys to Mr. Javed Iqbal Khan (fourth from left) the winner of the grand prize in presence of other BFC officials. 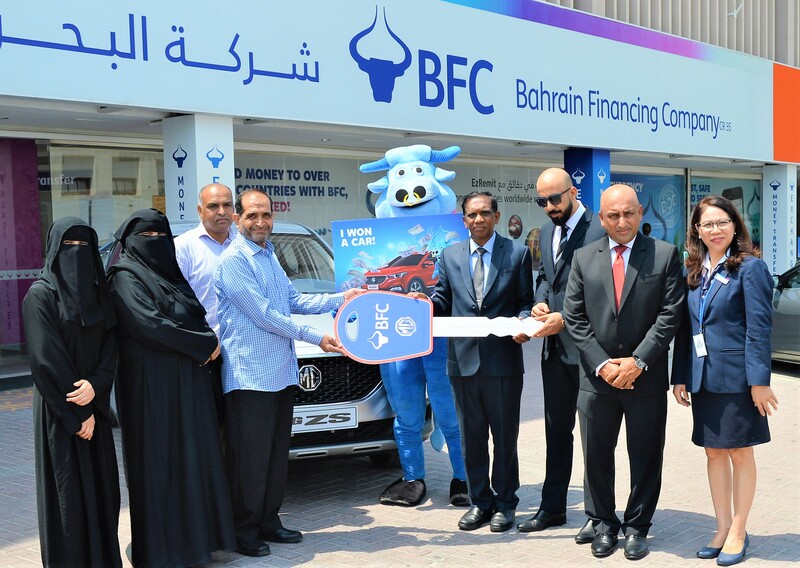 BFC handed over the Grand Prize winner of BFC Big Bonanza 2018 an MG – ZS SUV today in front of its Manama Branch. The final draw was conducted on 2nd September. BFC gave away the car and cash prizes during the three month long campaign. A total of 1001 BFC customers received the prizes.